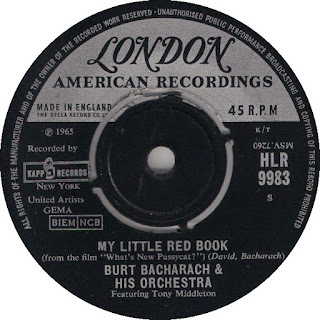 If you've heard Manfred Mann's version of "My Little Red Book" and dig it then you'll appreciate this version just as much if not more. Tony Middleton is of course known by one and all for his $$$ "To The Ends Of The Earth" and "Paris Blues", his vocals on this combined with Bacharach's instrumental backing is nothing short of amazing (though the female backing vocals are a bit too high in the mix). 2. JOHN WALKER-"So Goes Love"
After reading the excellent Walker Brothers book "The Impossible Dream" I began checking out some of John Walker's post Walker Brother's solo material. Not a lot if it jumped out at me but I was blown away by his reading of this Goffin/King number from his debut 1967 LP "If You Go Away". His voice is instantly recognizable from Walker's tracks and the Ladybirds style backing vocals and wiggy fuzz guitar and woodwinds make it work. 3. GRANVILLE WILLIAMS ORCHESTRA-"Bam Bam"
A brilliant mix of r&b and ska this 1966 single is amazingly infectious, especially the hypnotic "whatta bam bam" chorus and the layers of vocals/instrumentation with some great toasting/ad libbing vocals. 4. THE MASQUERADERS-"I Don't Want Nobody To Lead Me On"
Garden State Soul Club DJ Scott Boyko turned me on to the funky little soul nugget on Thanksgiving Eve, having previously only known the slightly reggae cover by The Exotics. Released on the Wand label in 1967. 5. 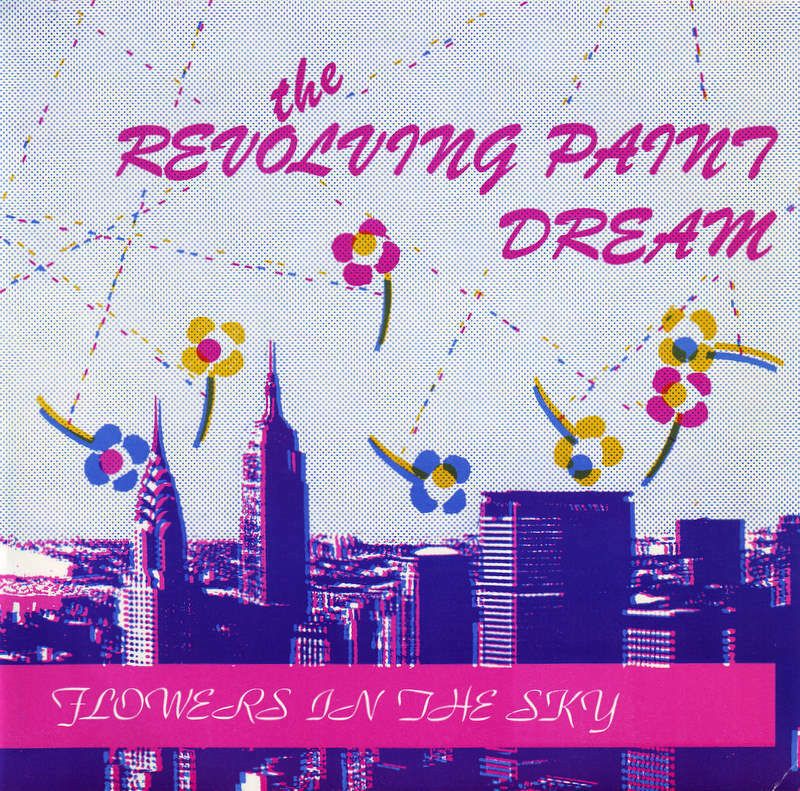 THE REVOLVING PAINT DREAM-"Flowers In The Sky"
This early Creation records single (their second 7" 45 release actually) is one of the most psychedelic things I've ever heard from the 80's. 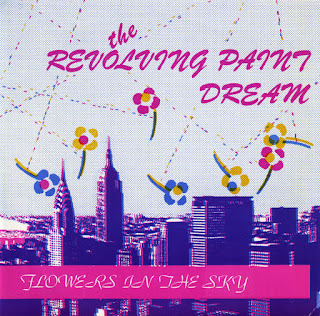 It's a perfect bridge between the '81 Groovy Cellar psychedelic scene and proto Brit pop (and the trippy early sounds of My Bloody Valentine). 6. SANDIE SHAW-"Lay Lady Lay"
From her in demand 1969 LP "Reviewing The Situation" this Bob Dyal cover eschews the pedal steel of the original and has Hammond, thundering drums and flute that sound straight off the soundtrack of "Vampyros Lesbos" film. Her vocals are almost too fey at times but thanks to the atmospheric musical backing it's incredible. Long after their hits dried up the Searchers were floundering in the twilight nether world of the UK cabaret and university circuit and occasional European tours. Somehow Pye records still had faith in them. In 1967 they issued their last single on the label, "Secondhand Dealer" and on the flip was this groovy number with a tough backing and lyrics like "I don't care cos I'm high...". One wonders if they would have made more like this if Pye kept them. 8. THE RAMSEY LEWIS TRIO-"John Henry"
From 1958's "Down To Earth (Music From The Soil)" LP comes this groovy reading of the traditional number "John Henry". It's driven by it's subtle delivery and Eldee Young's groovy stand up bass and Red Holt's drums with Ramsey's ivory tinkling falling in on top. 9. DEPARTMENT S-"Is Vic There?" Every now and then I forget about a song from the old days and I rediscover it and I'm blown away all over again. Case in point is this eerie little groover from 1981. 10. 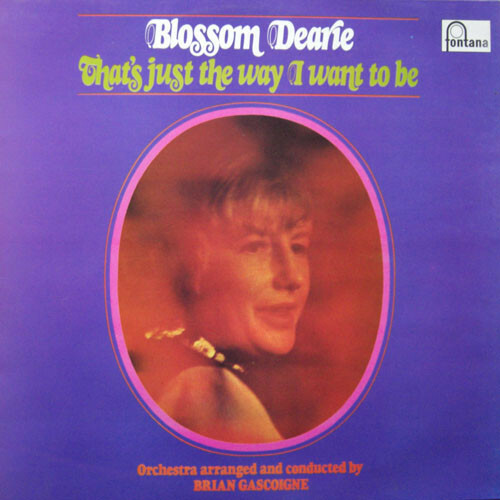 BLOSSOM DEARIE-"Long Daddy Green"
According to the Walker Brothers book I just read "The Impossible Dream", Blossom wrote this funky little piece about Scott Walker! She also included tracks called "Sweet Georgie Fame" and "Dusty Springfield" (the former is great but the latter is cringe worthy) along with "Long Daddy Green" on her in demand 1970 UK Fontana LP "That's Just The Way I Want It To Be"!